Be sure to get in on the fun by October 26 and October 31, respectively. Read the cards win the treasure! Your chance is here to win $250 CASH this weekend at Miami Club on Tarot Treasure Slot! Win $1000 CASH in this week’s FREEROLL at Slotocash! Both sites accept players from most US states (sorry NJ, LA, NY, KY, WA, MD, MO) and nearly all countries (sorry Moldova and Israel). Years ago, online poker freerolls were very common. Not so much these days. But Juicy Stakes Poker is bucking that trend. They have daily freerolls at 4:30 PM, 6:30 PM, and 8:30 EST, with the top 15 finishers awarded a ticket to a cash prize tournament held later that day, or on the upcoming weekend. And, unlike at other online poker sites, these freerolls are open to all registered players — no deposit needed. This weekend only, March 8 and 9, they are spreading two $500 freerolls. Both are at 6:00 PM EST, one each day. Juicy Stakes Poker is open to most players from around the world, including poker players in the United States. Should you decide to make a deposit, you will get a 200% First Deposit Bonus up to $1000. After you have made your deposit, click the Bonus Code button, enter 1000JUICY and click the Redeem Bonus button. You’ll have 90 days from the date of your deposit to clear the bonus, and the bonus is paid out in $5 increments based on the Frequent Player Points that you earn in ring games and from buying into tournaments. There are only two more chances left to freeroll your way into the Punta Cana Poker Classic at Americas Cardroom, a premier destination for online poker players from around the world. In order to qualify for the September 15 2012 Grand Finale, you’ll need to place in top 500 of all players from the monthly freerolls. 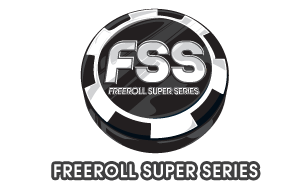 There are only two monthly freerolls remaining — held on the first Saturday in August and September. Start your quest toward the Grand Finale by finishing near the top of any of the 8 Round 1 daily qualifier freerolls, running every 3 hours starting at 2 am. Top finishers qualify for the Round 2 weekly tournament. The Round 2 weekly tournament (held on Saturday at 3 pm) has $750 in total prize money for the top 100 players, and one Round 3 monthly entry will be awarded for every five players in the tournament. The Round 3 monthly tournament (held on the first Saturday of the month at 3 pm) has $25,000 in total prize money with a Punta Cana Poker Classic prize package for the top three finishers. Americas Cardroom is a US-friendly online poker room that accepts players from all US states except the Commonwealth of Kentucky, the State of Maryland, and Washington State. It is one of the very few 5-star rated online poker sites at The Online Casino Gambling Directory; new depositors get a 100% bonus on initial deposits between $50 and $1000! Online Poker Freerolls – A thing of the past? Back in the day, every US-facing online poker site worth its salt ran regularly-scheduled online poker freerolls with real cash prizes and no entry requirements. Before Black Friday in April 2011, the least amount of time that you would have to wait before another online poker freeroll started somewhere was maybe 90 minutes. I just reviewed the top US-friendly online poker sites, and online poker freerolls seem to be a thing of the past. Only one of the four top online poker sites, Poker4Ever on the Everleaf Network, runs regularly-scheduled freerolls any longer, and the prize pools are as small as $5. And while Doyle’s Room does have their “Freeroll Fridays in September“, this is a special promotion and isn’t a part of their regular freeroll tourney offerings. Finally, Cake Poker and BoDog have freerolls, but only for their new players. It’s too bad that freerolls appear to be a thing of the past. I think newbies looked forward to getting their feet wet with these types of tourneys. Need some extra spending money for the weekend? Free up your schedule EVERY FRIDAY in SEPTEMBER because DoylesRoom is giving away free cash for 12 hours straight in their exclusive online poker freerolls. Each and every Friday in September, DoylesRoom is holding 12 hours of online poker freerolls. They run every hour from 12:05pm until 11:05pm. Buy-ins for the online poker freerolls are free and each week they’re throwing $400 in cash and $400 worth of satellite on the table.